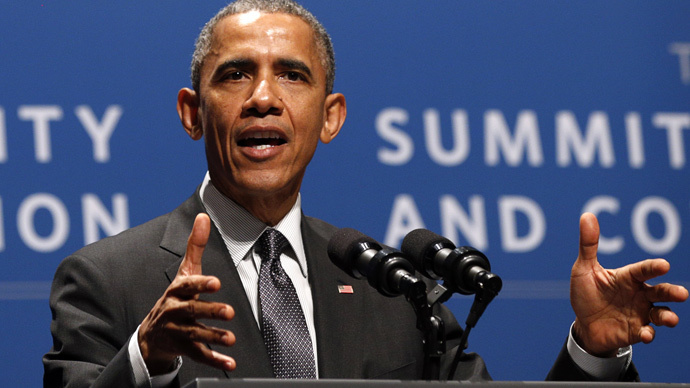 Obama touts cyber plan, but is Silicon Valley ready? US President Barack Obama is urging the nation to embrace new cybersecurity practices, but Silicon Valley might not be ready to fall in line with the White House. On Friday, the president appeared at Stanford University in California to deliver remarks concerning the future of the nation’s cybersecurity. The address came in the wake of a series of damning attacks that have crippled the networks and systems of private businesses in recent months, including those of Target, Home Depot and Sony Pictures Entertainment. However, the private sector isn’t all that’s at risk, the president warned. Networks administered by the US government and monitored by agencies, including the Department of Homeland Security and others, regularly come under attack but are provided an extra layer of security in the form of federal protection. During Friday’s Cybersecurity and Consumer Protection Summit, Pres. Obama once again urged the nation’s top tech companies to endorse the administration’s plan for enhanced cybersecurity. “This Executive Order lays out a framework for expanded information sharing designed to help companies work together, and work with the federal government, to quickly identify and protect against cyber threats,” the White House said, rehashing plans that have been put forth by the president repeatedly since the start of his administration but have, so far, unable to accrue the support of Congress. According to some, the House and the Senate aren’t the only ones uncertain about the president’s plans: top executives at Google, Yahoo, Microsoft and Facebook declined invitations to Friday’s event, instead sending other officials to sit in on the president’s remarks. Dr. Jane LeClair, the chief operating officer for the National Cybersecurity Institute at Excelsior College in Washington, DC, told RT on Friday that Silicon Valley’s reluctance likely stems from an unwillingness to get completely behind the White House just yet. “I also think it’s part of an effort to say we aren’t 100 percent bought in to where we are going at this point, so we are trying to take small steps to get there,” LeClair said.